Vials of Wrath’s second full length ‘Days Without Names’ first saw release independently on CD and digital formats in September of 15th, but Fragile Branch Recordings has decided to give the atmospheric black metal album a cassette version with modified artwork and a bonus track. 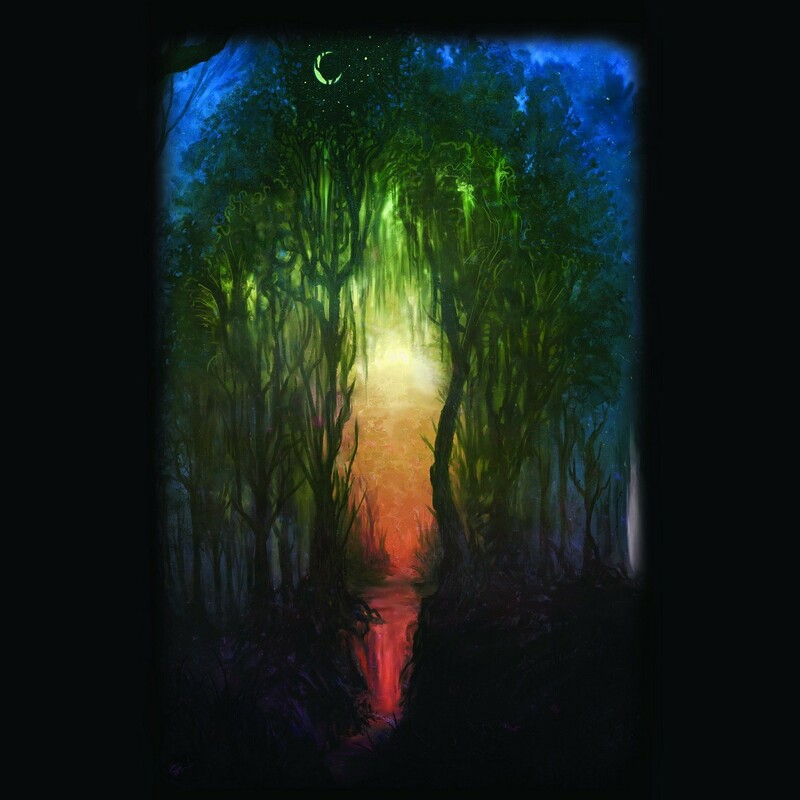 Based out of Maryville, Tennessee, this one-man project has been releasing material since 2011 that has incorporated the atmospheric and melodic influences of bands like Agalloch and Panopticon aside some of the more traditional black metal styles. In advance of the cassette reissue, today we’re excited to run an exclusive stream of the bonus track Within the Grey to give you an idea of everything this project has to offer. They may not have released their first material until 2013, but Chilean death metal band Soulrot’s origins trace back to the early 1990s. It’s clear that guitarist J.L. Olmos and company have been making up for lost time, as they’ve kept a steady stream of releases coming over the past few years. Following a demo and EP, the band is now preparing to put out their debut full length ‘Nameless Hideous Manifestations’ on April 24th via Memento Mori. And it’s sure to make a strong impression, as even though there’s that familiar Boss HM-2 buzzsaw sound and a good deal of Swedish influence to the writing Soulrot doesn’t feel like a clone of any one particular act and has the riffs to back things up. We’re excited to offer you a full stream of the album alongside an interview with the band so you can get crushed by its immense weight and ominous atmosphere. 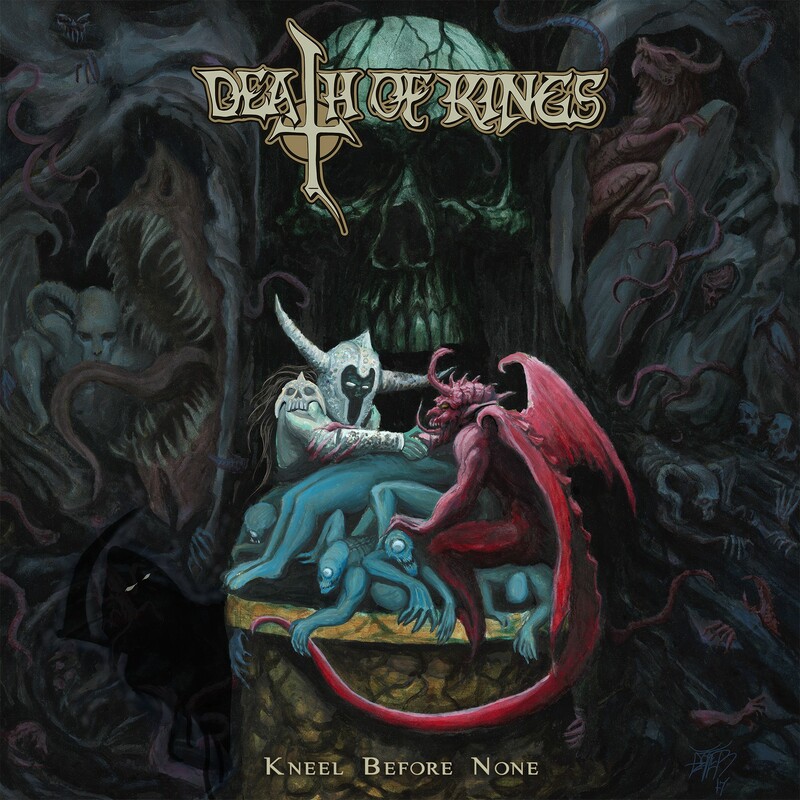 Atlanta’s Death of Kings has had plenty of time to perfect their blend of thrash and heavy metal, as they’ve focused on short form releases like demos and EP’s since forming in 2009. Last month the group released the single ‘Hell Comes to Life’, and now they’re finally set to put out their debut full length ‘Kneel Before None’. Set for release June 2nd via Boris Records, it’s clear that the amount of time Death of Kings has spent honing their craft has been put to good use, as the album is full of blisteringly intense riffs and soaring vocals that blur the lines between abrasive thrash screaming/singing and falsetto heavy metal singing. Today we’re premiering the album opener Shadow of the Reaper so you can hear just why these guys are one of the more promising bands to come out of Atlanta in recent memory. It has been close to four years since Woe released ‘Withdrawal’, and in the time that passed since then the band has been fairly quiet. While some groups take time between full lengths and still tour, Woe went completely quiet for a significant period of time. 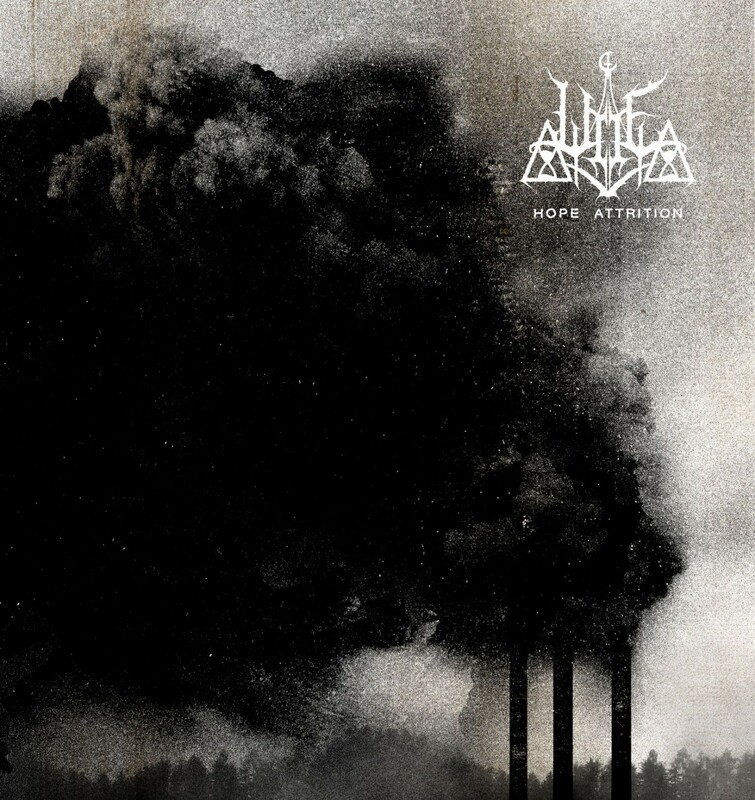 The U.S. black metal band resurfaced last month with ‘Hope Attrition’, showcasing a new lineup and some of the most abrasive and memorable material yet. While still adopting a dynamic approach to songwriting, there’s a noticeable emphasis on aggression and bleak tonality. It’s easily the darkest and in your face Woe has ever been, and an early highlight of this already standout year. To find out more about the work that went into the album, we had the chance to ask singer/guitarist Chris Grigg some questions. When I think of metal and rock from Romania, one of the first words that come to mind is “atmosphere”. 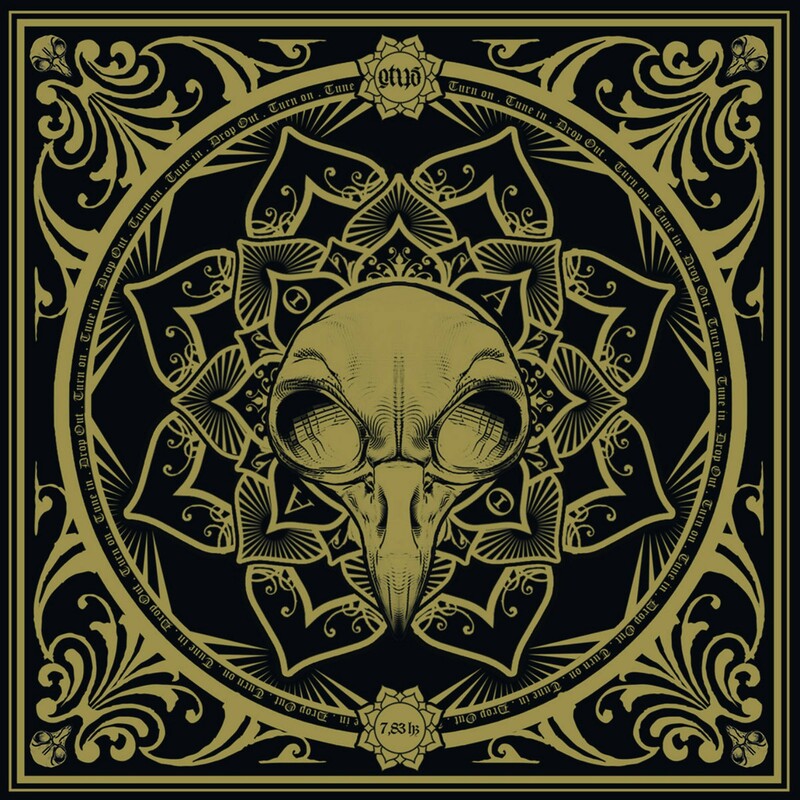 Each band has branched off into a different path in their respective genre, but sweeping melodies and a hint of mysticism and the unknown has often permeated metal from the country. 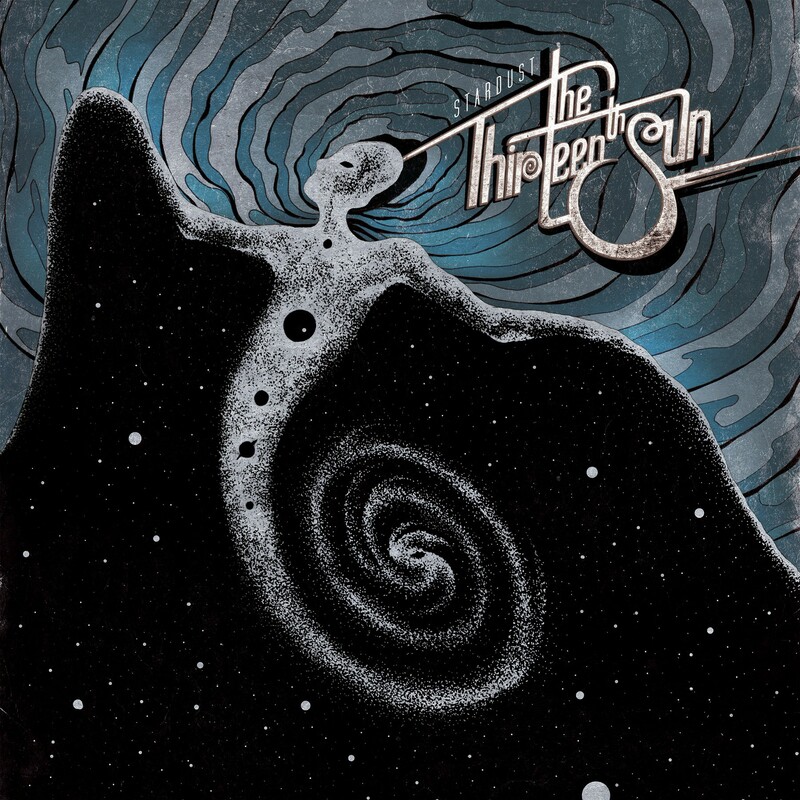 This holds true for The Thirteenth Sun, a progressive rock/metal band that hails from Transilvania. Formed in 2011, the group released their debut EP ‘Genesis’ a year later and have been hard at work on a full length ever since. A few lineup changes and years later, the results of their efforts are about to be unveiled on May 12th when Aural Music releases ‘Stardust’. Comprised of seven songs, today we’re excited to premiere the second track Pathways to give you an idea of just what these guys are capable of. 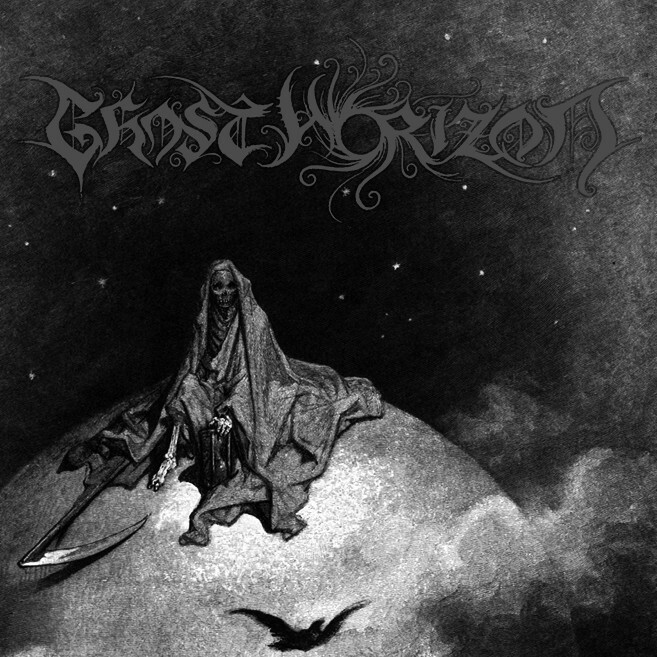 It has been a little over a year since U.S. atmospheric black metal band Ghost Horizon released their debut EP ‘Astral Possession’. Formed by Daniel Stollings in Phoenix, ‘Astral Possession’ found Stollings handling guitars and bass with vocals and drums performed by Uræus. In the time that has passed Ghost Horizon has gone through a lineup change, with Uræus departing and new drummer “Frog” Magus stepping in. For follow-up EP ‘The Erotics of Disgust’, Stollings has chosen to handle vocals himself, which has brought a change to the group’s sound. With even more of an emphasis on darker textures and emotions and raw intensity, today we’re excited to premiere the EP’s closing track Whispers ahead of its April 7th release date so you can hear for yourself. Italian sludge/doom band OTUS has been around since 2012, releasing a demo in 2013 before taking several years to put together their full length debut. The resulting effort ‘7.​83Hz’, originally released independently in 2016, is a 70 minute concept album that was inspired by Timothy Leary’s quote: “Turn on, Tune in, Drop Out”. If you missed this one last year, Argonauta Records is giving you another chance to experience the group’s take on lucid detachment and becoming fully in tune with the universe through their music, as they’ll be giving ‘7.83Hz’ an expanded CD release on March 20th. Today we’re excited to re-introduce the album in full to give you a chance to experience OTUS’ take on the realms of harsh and meditative doom. Splits continue to be a fantastic way to introduce listeners to new bands. I probably end up mentioning this just about every time that I cover one, but splits have been one of the easiest ways to discover and new groups I hadn’t had the chance to hear yet. 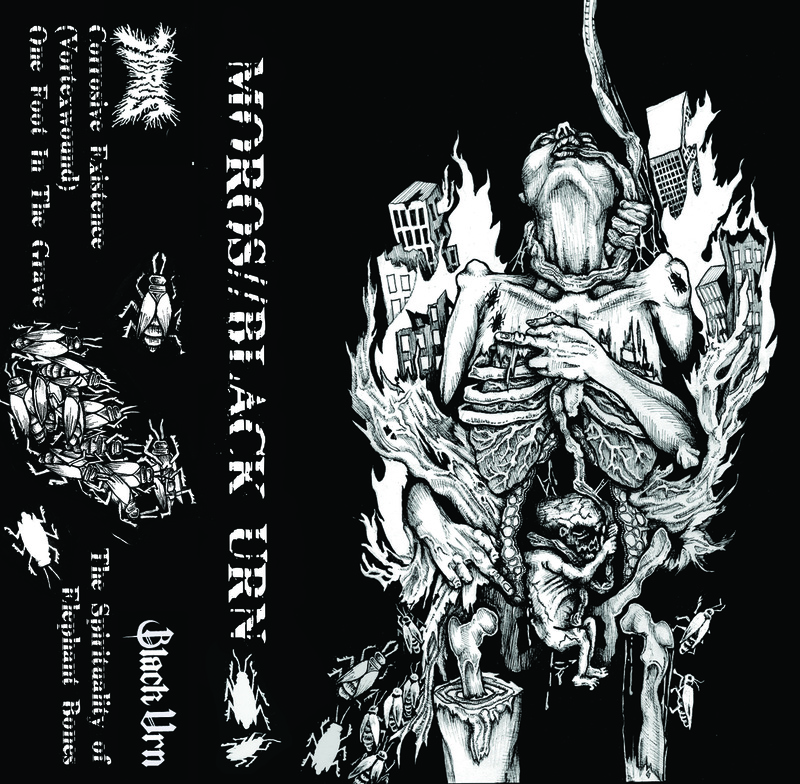 This is once again the case with the recently released split between Moros and Black Urn, two fairly new sludge/doom acts from Philadelphia that might just be making some of the bleakest material the city has to offer. Each band only has two releases to their name prior to this split, so chances are you might not have come across them yet if you’re not from the local area. 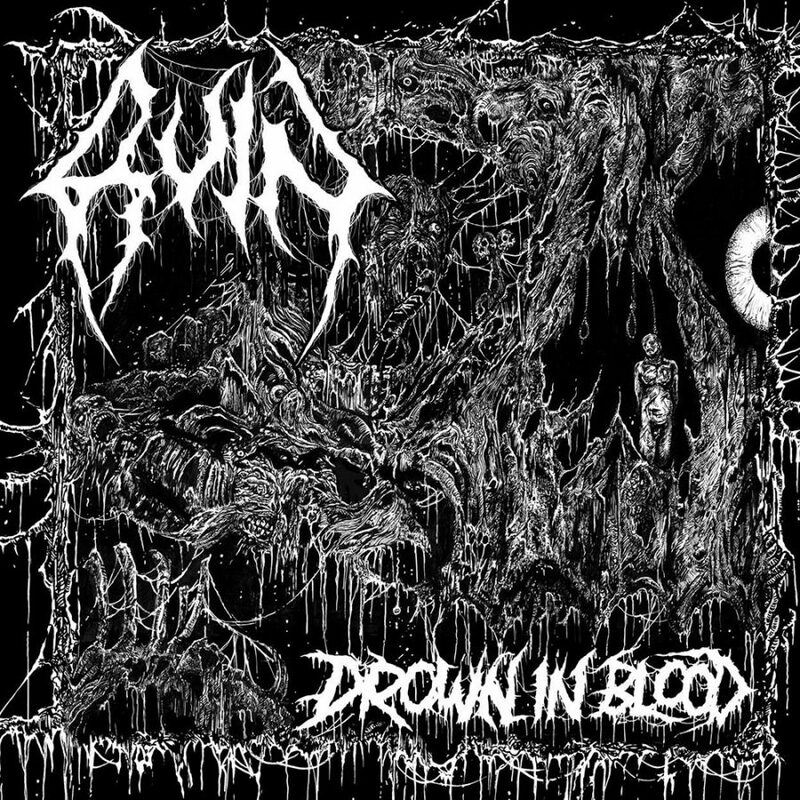 But if you’re a fan of anything sludge and doom related, this is a split you need to hear.